On Tuesday, Ohio Gov. John Kasich signed a 20-week abortion ban, but not the even more controversial "heartbeat" bill, into law. According to the Associated Press, the governor vetoed the latter bill. 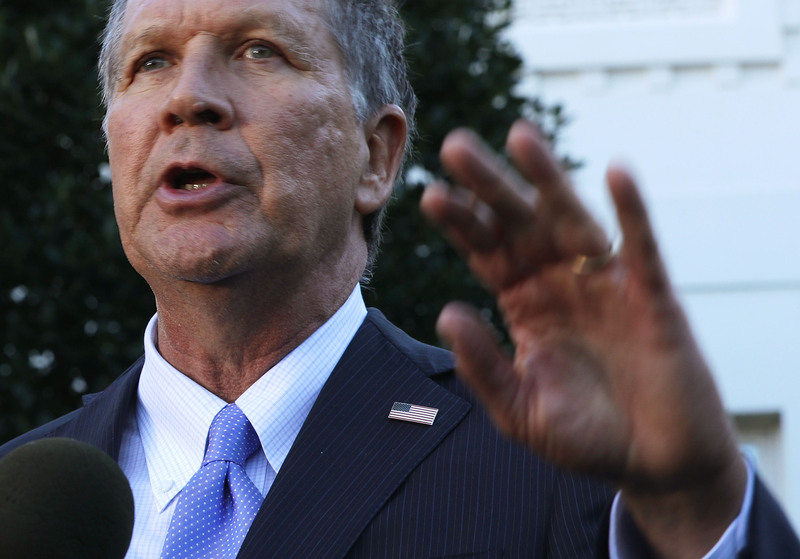 “I agree with Ohio Right to Life and other leading, pro-life advocates that SB 127 [the 20-week abortion ban] is the best, most legally sound and sustainable approach to protecting the sanctity of human life," Kasich said in a statement. Last week, the Ohio legislature passed not one but two major abortion restrictions. The bill that received the most attention was the "heartbeat" bill, which would have banned abortions as soon a fetal heartbeat could be detected — so, around roughly six weeks into a pregnancy. With such an early time limit, the ban would have prevented most women from having an abortion before they even realize they are pregnant. Similar abortion limits in other states have been blocked, and Ohio Senate President Keith Faber said he had hesitated to pass such a bill because he was worried it would be overturned in the courts, and other abortion restrictions with it. However, he said the election of Donald Trump inspired him. 'New president, new Supreme Court justice appointees, change the dynamic," Faber explained after the heartbeat bill was passed. Since the "heartbeat" bill was so extreme, it largely overshadowed the 20-week abortion ban. However, it is not clear that a 20-week abortion ban would survive court challenges either. Although Ohio is hardly the first state to pass such a ban, according to Planned Parenthood, 20-week abortion bans are "unconstitutional and a clear attempt to erode Roe v. Wade at the expense of women’s health." Moreover, 99 percent of all abortions occur before 21 weeks, according to Planned Parenthood.